New Delhi, Dec 11: On the occasion of the International Human Rights Day the Poor Christians Liberation Movement (PCLM) has asked the Church authorities to pave way for human rights of Christians of Dalit and tribal origin. The PCLM pointed out that while nearly 70 per cent of present Christian’s population in India are of Dalit and Tribal origin and their participation and appointments in high position in Church is less than 10 percent. This is gross injustice, said PCLM President R L Francis. Francis pointed out that on 11th November was observed as “Dalit Liberation Sunday" by the ‘Catholic Bishops' Conference of India (CBCI) and National Council of Churches in India (NCCI)’. The theme of the DLS was “As for Me and My Household, We will serve the Lord” (Joshua 24:15)”. 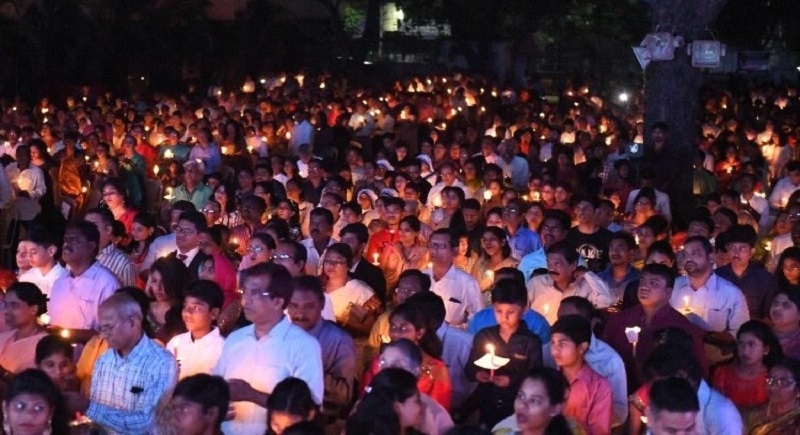 It was taken on the occasion of the 10th anniversary of Kandhamal violence that occurred in 2008 following the gruesome murder of Swami Lakshmananda- a firebrand Hindu saint working in that area of Odisha. While it is true that violence occurred in Karnataka and Orissa but the Supreme Court of India issued stern directions for the safety of the minorities in those states. According to PCLM president Francis these posters are misleading and are only gimmicks to collect foreign donations during the 10th coming Christmas and New Year seasons in the Western countries. The PCLM conducted a quick survey in Delhi to find out whether in the local churches the issues of Dalit Christians were discussed or not and to its surprise it discovered that not even in the Cathedral of Delhi which is located next to ‘Catholic Bishops Conference of India’ (CBCI) office there was any mention of the posters and its content. Likewise the NCCI also paid only lip service to the Dalit liberation. Francis further stated that the Church office bearers are involved in conversion of the poor tribals and Dalits to enhance their political influence in the backward states and not really to bring liberation message of Jesus Christ to them. Calling for justice for the poor Dalit and tribal Christians the PCLM has urged the Church not to malign the name of our country in the West. The PCLM has also urge the Foreign Affairs Ministry Govt. of India to investigate the false propaganda by the office bearers of the Church in India and large number Christian NGO's whose aim seems only to collect dollars. Let the Church work for the social justice for the poor Christians on the International Human Rights Day, said PCML President Francis.